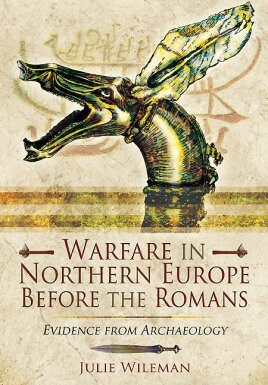 This book traces the developments in the defences, weaponry and armour of the northern 'barbarians' from the earliest traces of stone age aggression to the sophisticated warfare of the tribes who met the Romans in battle. It uses evidence from monuments such as the great hillforts of the Bronze and Iron Ages, including Maiden Castle in Dorset and Alesia in France, as well as the amazing archaeological finds seen in museums and collections across northern Europe. Period by period, the ways in which the peoples of Britain, Ireland, France, Germany, the Netherlands, Belgium, and Scandinavia developed defensive and offensive strategies are brought together for those interested in both military history and in the development of our societies and countryside. Evidence from many countries is used to shed light on the centuries before written records – and to redress the balance of our understanding which has often been too heavily influenced by Roman propaganda!